Is Vogue out of touch when it comes to their views on bloggers? On Tuesday morning, my Instagram and Twitter feeds were blowing up with angry posts, and it wasn't because of the Presidential Debate. The culprit was Vogue, who posted a recap of Milan Fashion Week that included a pretty harsh discussion about the role of bloggers at fashion shows. 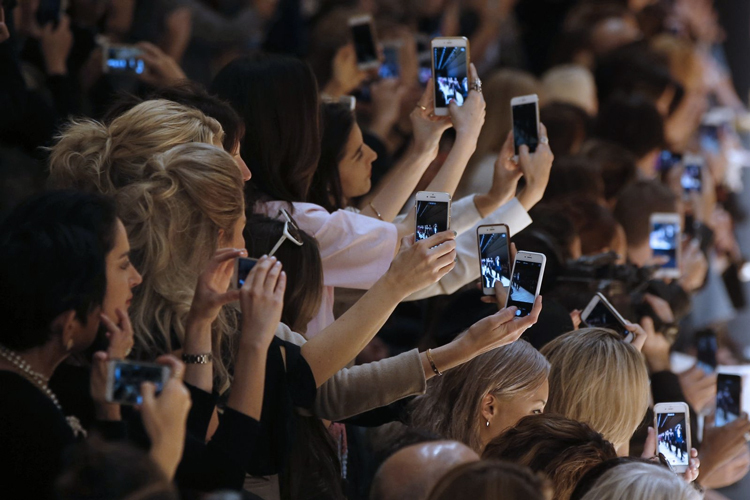 Complaints of preening bloggers in sponsored designer clothes, constantly snapchatting and Social Media-ing throughout Fashion Month are nothing new—in fact, I thought the fashion world had kind of accepted and even warmed to the inevitability of bloggers at Fashion Week, but it seems I am mistaken. 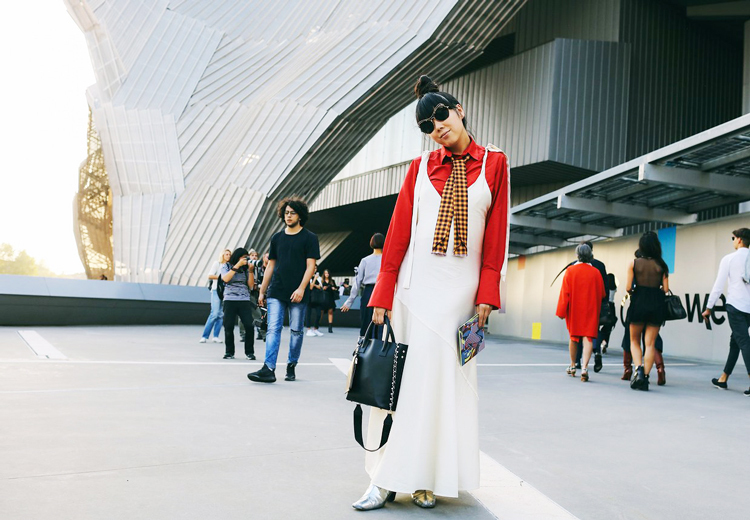 In the article, Vogue editors sat down to discuss the best collections from Milan, but it quickly turned into a bashing of bloggers. Vogue.com Chief Critic Sarah Mower called women "pathetic" for wanting to be photographed by street style photographers, while Creative Digital Director Sally Singer said rather bluntly to any bloggers reading: "You are heralding the death of style". Sure, there are some valid concerns with the increased commercialization of blogging (and therefore the demise of creative personal style) but I'd look to Kylie Jenner's homogenization of fashion or the persistence of Lululemon-as-everyday-wear as murderers of style before I would ever blame fashion bloggers. The main complaint amongst traditional fashion week attendees in regards to bloggers is that they don't understand why fashion bloggers attend runway shows. They aren't buyers or editors, so why do they need to see collections ahead of time? In addition to publicity, most fashion bloggers act as editors and critics themselves, which is something I feel traditional fashion media has been slow to recognize. To me, the best blogs are the ones that share their personal voice and style while also commenting on larger ideas about fashion and culture. Bloggers post runway recaps and reviews just like Vogue does. So what if they share what they wore to the show, too? To the old guard, bloggers are materialistic and vain. They are peacocks in Prada, pining for pictures of themselves and distracting from the crux of Fashion Week. But what is so wrong about a group of people who love fashion, who share their love of it by literally wearing it on their sleeves, and document the process so that it can be accessible to everyone? And truly, this is the issue that these Vogue editors have with bloggers: it opens an elite world up to the public through the extensive use of social media, and so a new divide must be drawn within the fashion world itself. Editors see themselves as the intellectuals, the cultured few who dictate style to the masses. They don't like that bloggers are taking that power away from them (especially since bloggers tend to feature more accessible brands and styles than Vogue, who's budget outfit feature considers a $500 dress a steal) and so they attack them, saying that bloggers are vapid and self-obsessed. The worst part is the quip that makes these women sound like grumpy baby boomers rather than reasonably in-touch fashion editors, where Fashion News Editor Alessandra Codinha said that it was embarrassing to see bloggers wearing loud clothing and using their phones nonstop "when you consider what else is going on in the world". She then snarkily asks if bloggers have registered to vote or know that the debate is happening. Commence eye roll. You can be mildly annoyed that bloggers are stealing your spotlight, sure, but to use the same condescending language that is so often launched at the entirety of the fashion world is beyond frustrating. I cannot tell you how many times I've been seen as superficial and vapid because I happen to enjoy fashion and want to pursue a career in the fashion world; told that I should pursue a career "that actually matters". 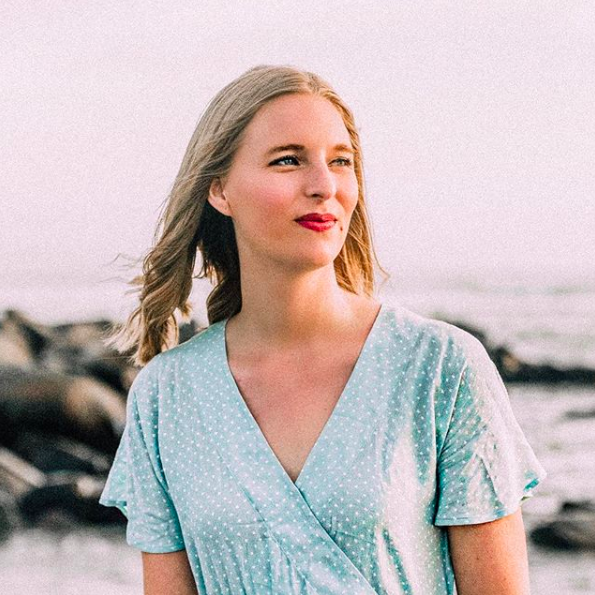 To use the same snobbery that I'm sure these editors have had directed towards them is ridiculous and sad, and instead of putting fashion bloggers down—many of which are incredibly successful businesswomen with serious worldwide influence—I would love to see Vogue embrace the changing ways of fashion and recognize the power that bloggers hold. Also, Vogue editors criticizing bloggers for being "bought" is kind of pot/kettle, as I don't think it's a coincidence that the number of featured clothing items from a particular designer directly correlate to the number of ad pages they purchase. For that matter, critiquing the blogger obsession with social media while awarding Kendall Jenner the September issue cover in part because of her social media power is a bit hypocritical, too, don't you think? Vogue and fashion bloggers are doing the same exact things, placing value in social followers and advertisement opportunities, so don't get it twisted, editors. It's the change that bothers you, and the realization that these bloggers threaten the relevance of fashion magazines. But the times are changing, and instead of complaining about it, you might want to adapt, lest the trendsetting train leave the station without you. More on the topic: I think Danielle Bernstein of WeWoreWhat and Shea Marie of Peace Love Shea wrote thoughtful, personal responses that tackle what it means for a huge fashion institution to question the legitimacy of bloggers in 2016, and Fashionista's Tyler McCall wrote a good article looking at both sides of the argument and also explains why bloggers are so influential. Final Notes: I read runway critiques and editorial content religiously. I have dreamt of writing for a fashion magazine for my entire life, and it's the reason why I started this blog. But times are changing, and I hope Vogue and other traditional fashion media recognizes this before it's too late, because I see the value of both magazines and bloggers. What it comes down to is this: constructive criticism and think pieces on the state of the industry are always welcome, but let's not put down fellow women and question their intelligence or sincerity because they want to be part of this tiny, exclusive world too. Democratization of fashion is not a bad thing, and it isn't something these editors should be scared of. So what do you guys think about Vogue's comments on fashion bloggers? Do they have a point, or are they out-of-touch with a changing fashion landscape? WOW this was a great read! Ugh I understand their point of view I guess.. but that won't stop me from blogging! Thank you, Briana! I understand that the changing world of fashion and vibe of fashion week is scary for them, but there's a way to critique fashion blogging without sounding quite as catty, I think. such an interesting read, thx! I agree with you about Vogue's comments on fashion bloggers. I'm happy to see such a good post!